Featuring vivacious high-end sound and elegant style, the SVHTB is an elite, flawlessly made home theater speaker system. The SV10's narrow profile is given additional emphasis by the side positioning of the high excursion subwoofer, allowing for an un-crowded placement in your sound system. This system provides exciting performance in any listening environment, and with superb sound radiation and rich timbre, the SV10 is perfect for music and home theater applications. The SVHTB speakers are internally braced - both vertically and horizontally - to ensure that the acoustic image remains free from cabinet vibrations and driver resonances. Audio grade MDF wood construction suppresses enclosure panel resonance for distortion-free, accurate response. By virtue of the tuned bass reflex cabinet, with ports in the rear and the side-firing 8 inch subwoofer, the SVHTB fronts produces a brilliant and dynamic low frequency performance. Coupled with Neodymium balanced pure silk dome tweeters - rare in speakers at this price - the SVHTB provides a smooth and accurate high frequency projection. By utilizing only premium components - such as powerfully dimensioned, high-performance drivers - and boasting a distinct design with a classic natural beech finish, the SV10 offers a pure listening experience that will harmonize perfectly with any modern living area. Long throw side-firing drivers for longer excursion and better linearity. 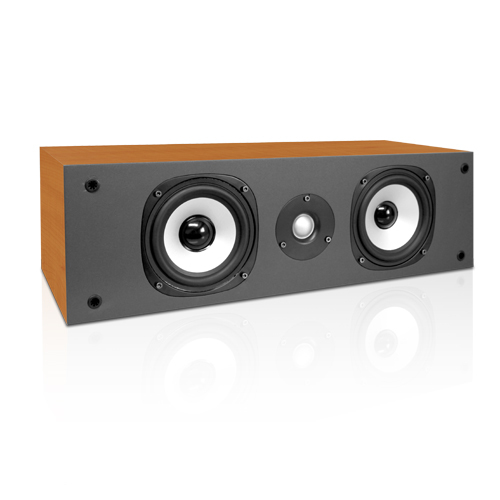 Side-mounted subwoofer eliminates frequency interference from front-mounted drivers. These are amazing speakers at a great price. I was a bit skeptical in the beginning but after getting them and listening to them I am very happy with my purchase. And on top of that they look really nice. I will recommend them any day. I've these speakers for a week and I love them. 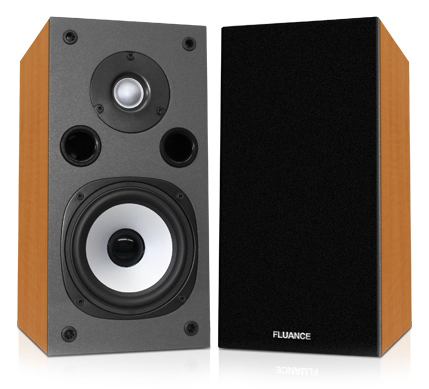 My son wanted my PSB set as he has more space, so he bought me the Fluance SV set and he got the PSB's. Since we do not want to rattle the house we actually prefer the AV's because the 3-way system yields a richer sound at lower volume and still gives terrifiic sound for movies. 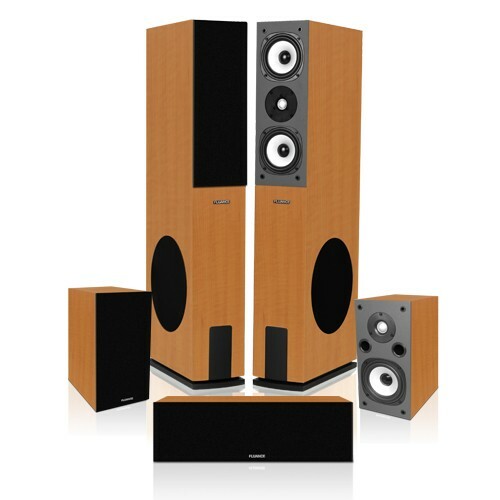 Definitely prefer them to Klipsch set I was going to buy for $1800. I was searching for a pair of speakers with side-firing subwoofers and these fit the bill. Beautifully crafted, sleek with the covers on or off, and the sound fills the room gorgeously. I listen to them pretty much every evening either with music or Netflix. 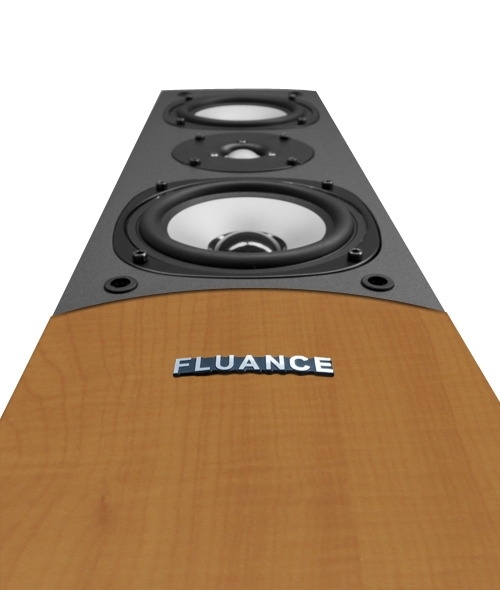 Nice work Fluance! I have had multiple speaker systems over the last 10 years and recently upgraded from Fluance's SXHTB to the SVHTB. The SXHTB were good for my apartment but the SVHTB fills a full size great room with awesome sound. The highs and mids are well defined and the lows are punchy without being muddy. The built in 8" woofers definitely have some kick and fill out the sound even more than the good SXHTB's. I would suggest removing the grill on the center channel as this improved the clarity of the dialogue. I would definitely purchase them again. Bought these to replace PSB t-6 I gave to my son - think sound is richer and clearer at our listening levels - highly recommend.